• To design and realize, in the Italian factory of Essequadro Srl, eyewear with a high handicraft content that everyone can wear, that is perfectly resistant, that is comfortable and that combines the research of exclusive colors to the peculiarity of innovative details. • To guarantee a special relationship with customers, which is a corporate asset that reflects the style of the owner family that has more than forty years’ experience in the eyewear industry. 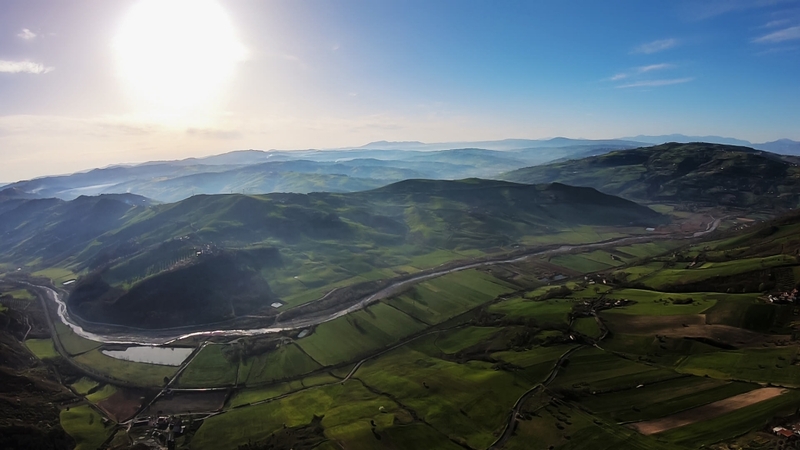 Irpinia is the Italian province where the Essedue factory is located, in the southern Apennines between the Tyrrhenian and the Adriatic Sea, surrounded by medieval villages in mountains of dense forests and valleys of yellow wheat. 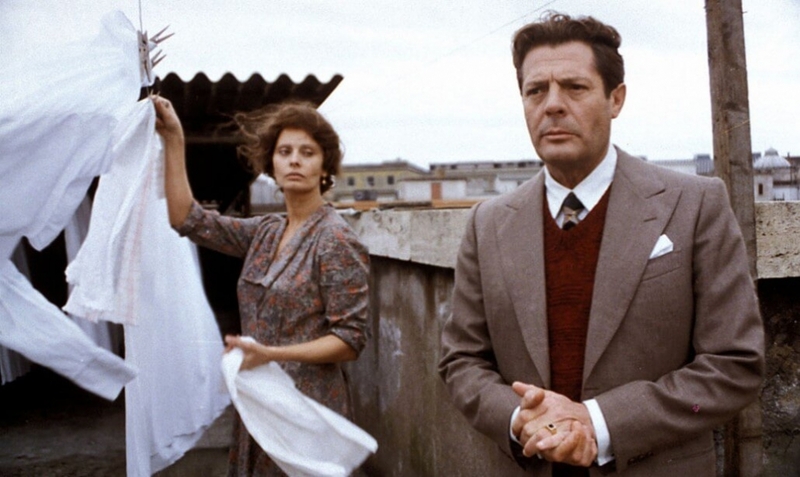 Among the many linked to Irpinia, we should mention the director Ettore Scola. 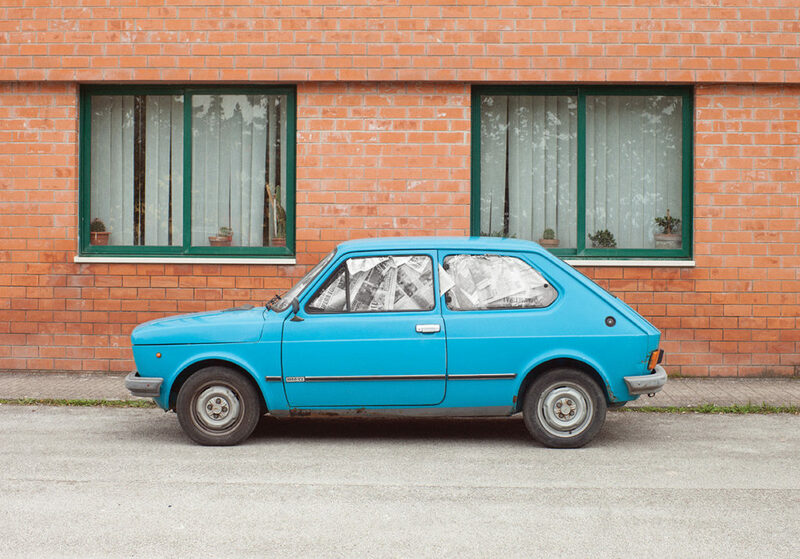 Born in Irpinia, he has staged the human and family relationships, the ties with the territory and the unique and true experiences, made of joys and traumas, outlining just the unique faces and characters of Southern Italy. Essedue was born in this context, from a family experience of three generations in the eyewear of which Stefano Scauzillo has been the heir since 2012. Born in an optician’s shop, he continued his studies and apprenticeship in the eyewear sector until he fulfilled his dream of making eyewear. The lines are rounded and sensual, and colours are unique. While following the latest design trends, Essedue has never denied the tradition of Italian craftsmanship: fresh and elegant, renowned for the youthfulness of its style, it still pays attention to the quality of the materials and rigorous craftsmanship, which ensures its high-end positioning worldwide in the best optical shops. Essedue is proud to control the entire in-house production chain in its own factory, in the heart of Italy: Irpinia. It allows Essedue to have competitive prices, without ever compromising on quality, and guarantying a high level of service and after-sales support. From design, styling research and prototyping to manufacturing, finishing and packaging, the Essedue eyewear is completely made in Italy. Most of the 72 production steps are made manually while others are made using latest generation machines. Currently, 50 employees work for Essedue that continues to invest in increasing the production capacity and reaching new markets around the world. The activity of research and style in the creation of the collections, and the marketing activities are inspired by artistic and cultural collaborations. 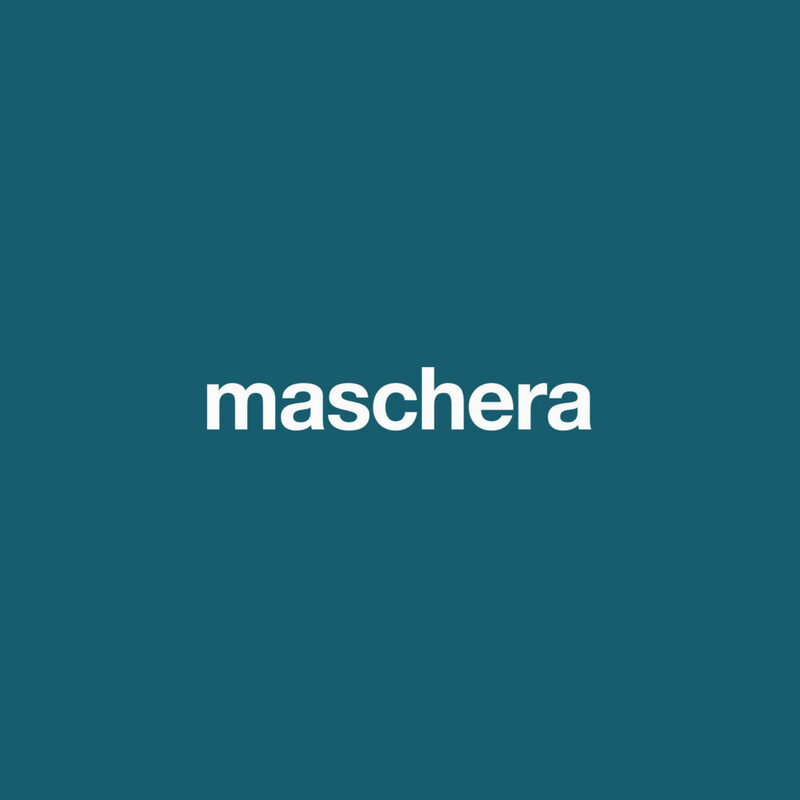 A summary of these activities is Maschera, the official visual magazine of Essedue, which is published twice a year for the Fall/Winter and Spring/Summer collections. 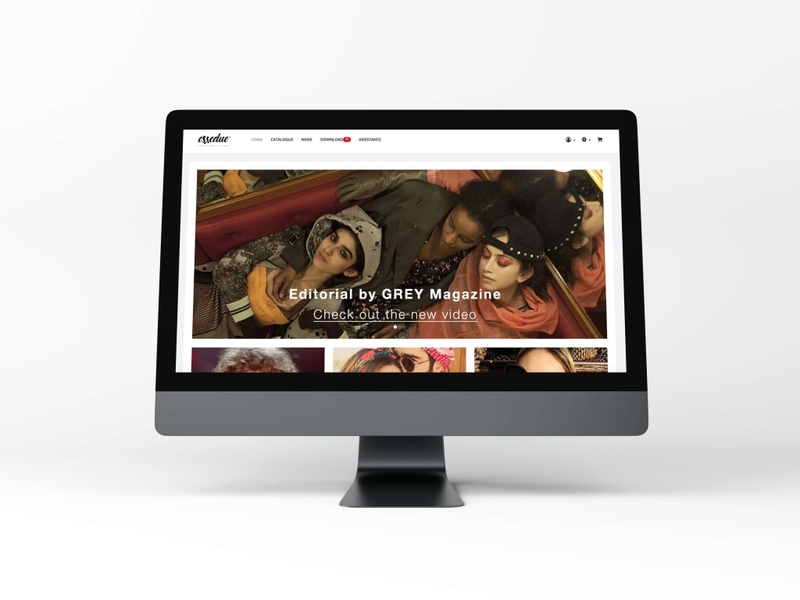 Essedue is on the main social networks, in particular on Facebook and Instagram, where the soul of the brand is expressed through photos of important photographers and fashion influencers friends of the brand. Essedue collaborates with bloggers, influencers and celebrities to promote the brand through exclusive collaborations and special editions of its models. It publishes articles and interviews on the most important eyewear magazines, and Essedue styles have appeared in fashion magazines and in national and international movies. 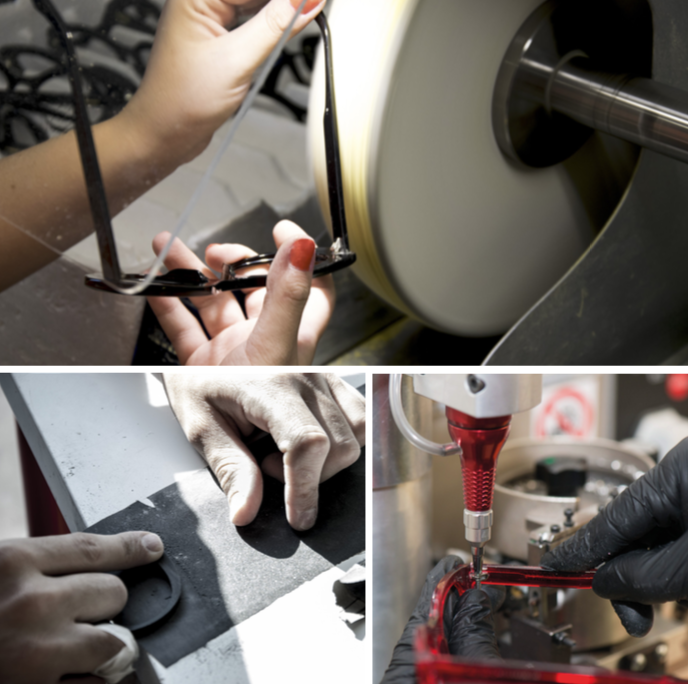 The research and development department is at the heart of the design and manufacture of Essedue eyewear. The designers spend their energies to research new technological solutions to make the frames more resistant and comfortable, and to design models in line with the trends in the international markets. The Essedue eyewear is the result of careful design on shapes, dimensions and proportions, starting from the reinterpretation of the classic models of Italian eyewear. The study of design is above all the passionate research to create eyewear that is comfortable to wear and beautiful to see. The design of each collection is based on the different markets, on the needs of different customers and on the customs of different cultures. Essedue agents and distributors are present in many international markets, and new partners join the Essedue sales team every year. Born in 2012, since 2014 the brand is developing throughout Europe. In 2016, Essedue created its first foreign branch in Germany and in the same year its network of sales agents in France, and then it has entered the USA, Russia, Hong Kong, Singapore, China, Tunisia and others. Nowadays, Essedue continues its international growth worldwide. Every year, Essedue is present at international fashion and industry fairs to meet its customers. In particular, Essedue attends Silmo in Paris, Mido in Milan, Opti in Munich, Vision Expo in New York, and many other minor and regional fairs. The relationship with customers is an Essedue skill, thanks to its long experience in the eyewear industry. The service of customer care constantly supports customers, whether through the planning of visits to the factory, telephone assistance or a dedicated B2B platform. Each new optician is registered on the system, receiving the information to login the private area where they can place orders simply using their computer in the shop, or by smartphone, through the offline app available for Android and Ios. With this tool, they can easily know what is available in stock, see their orders history, download the official marketing material, and send after-sales requests.